During the first week of May, five new condo projects in downtown Miami launched sales campaigns. Among them was the boutique condo building Le Parc at Brickell. When politics grow heated in Latin America, home buyers from the Panama Canal to Tierra del Fuego flock to Miami looking for a safe place to park their assets. In recent years, Venezuelans in particular have been coming to the city in droves. Since the Miami Association of Realtors started to track sales to foreign buyers in 2006, Venezuelans have bought more Miami real estate than Brazilians, Argentinians or citizens of any other nation in the world. The buying began in earnest when Hugo Chavez started running the country in 1998. While the Socialist president was considered a hero among the working-class, many wealthy Venezuelans considered him a tyrant. The fears of unrest surrounding his October 2012 reelection triggered another infusion of Venezuelan cash into the Miami real estate market. Local real estate agents joked at the time that Chavez should have been named Miami's "Salesman of the Year," according to Matthew Martinez, a local real estate investor and principal of Beacon Hill Property Group. After Chavez died in March of this year, the ensuing election that put his successor, Nicolas Maduro, in office also stirred up fears -- and more home buying in Miami. Left-of-center politicians elected in Bolivia and other Latin American countries have encouraged wealthy citizens of those nations to look for a safe haven in Florida as well. And, investors from Brazil and Argentina, where the economies are booming, are also putting their excess cash in safe Florida real estate. As a result, Miami has become known as a "global gateway," much like New York and San Francisco, that attracts deep-pocketed investors from all over the world, said Neisen Kasdin, a real estate development attorney and former mayor of the city of Miami Beach. The influx of buyers, combined with the economic recovery in the U.S., has created a dramatic turnaround in Miami's housing market. Sales of single-family homes in Miami climbed 10.3% during the first three months of 2013 compared with 12 months earlier and prices jumped 23%, according to the Florida Association of Realtors. About 45% of single-family home sales and 77% of condo sales were made in all cash, reflecting the heavy foreign presence. More than 90% of sales to foreigners in Miami are made in cash. "Two years ago, Miami was the poster child for distressed real estate in the United States," said Jonathan Miller, of Miller Samuel, a real estate appraiser and consultant. "It has now morphed into a luxury brand." 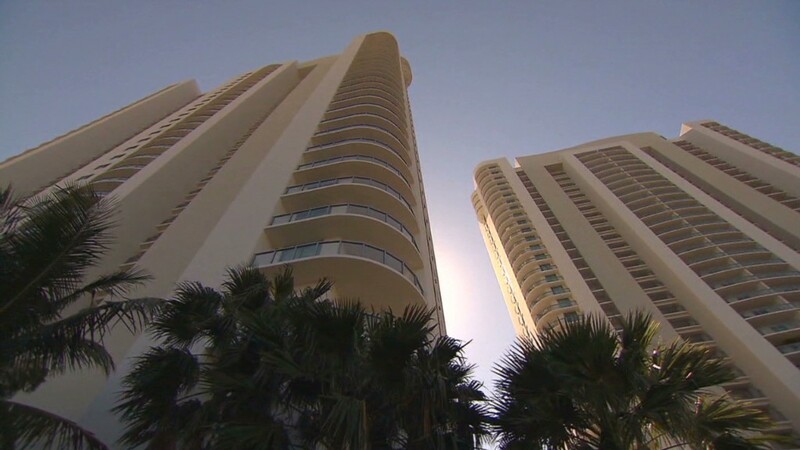 All but 600 of the 23,000 bubble-era condos that once languished on the Miami market have been sold, according to the Miami Association of Realtors. "That old inventory is basically gone," said Kasdin. 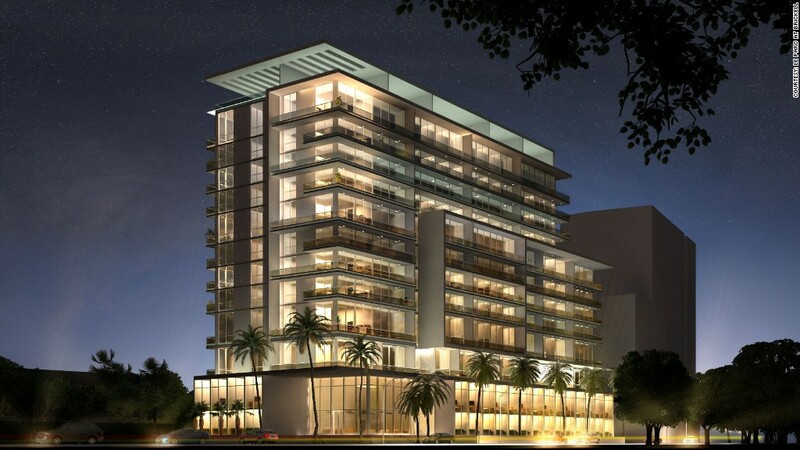 During the first week of May, five new condo projects in downtown Miami launched their pre-construction sales campaigns. Among them was the boutique condo building Le Parc at Brickell, where units range from 622-square-foot studios starting at $280,000 to 1,566-square-foot, three bedrooms for $699,000. The units have access to a rooftop pool and jacuzzi and outdoor kitchen and feature high ceilings and imported tile floors. "People who want to retire and play golf, that's not Miami," said Alan Ojeda, a local developer and founder of Rilea Group who's building a 44-story condo in downtown Miami. "The city is filled with youth, with life, with music. The main difference now, is that the South Americans are not just parking their assets here, they're parking their families as well."